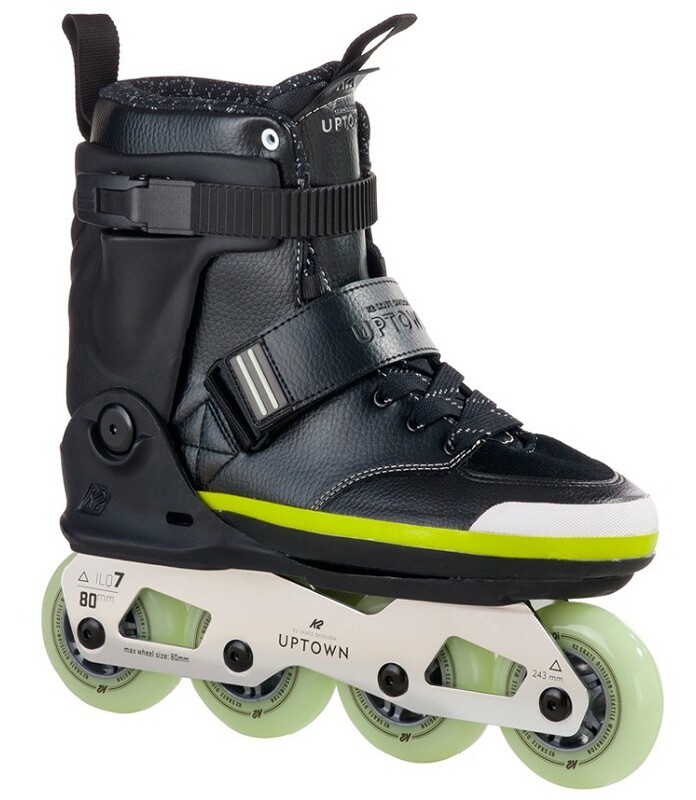 K2 Uptown Skates - the new Uptown Skate does not really fit into the categories previously known. For a fitness skate too heavy and freestyle. For freestyle and stunt skate too big wheels, and high stunt level. The K2 Uptown 2016 is very agile, fast, visually an eye-catcher, and he may allow a firm and stable position despite a super comfy innerboot. In the new Uptown skate a very short 243 mm frame with 80mm wheels and ILQ 7 bearings were installed. 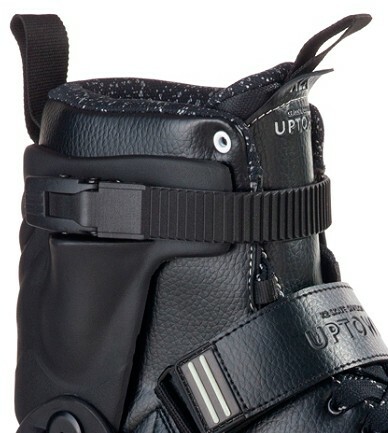 The cuff is a Agressive Cuff from the Urban and Freestyle category.